This is a FREEBIE, and part of a larger product I have available in my store. 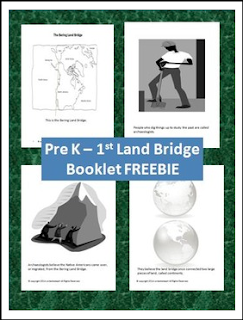 Included is information on the Bering Land Bridge. Every page has only a few sentences each, and each page also has simple words and some repetition -- which is great for beginning readers. 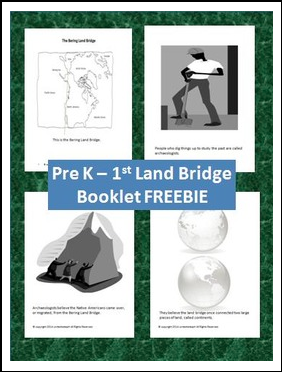 However, it also helps other learners understand the concept of the Bering Land Bridge as the way that the Native Americans once migrated to North America. Students learn all about the Land Bridge while familiarizing themselves, and practicing with sight words.